EconomicPolicyJournal.com: Should Foreign Language Requirements be Abolished in US Schools? Should Foreign Language Requirements be Abolished in US Schools? Caplan is correct here but there is an additional reason that it makes no sense to learn a second language for most English language speakers. English is the global language of business. Nearly every businessman doing international business is going to speak English. It is a waste of time to learn another language for most English speaking businessmen since most business counterparts will be able to converse in English. And further, what if you study French and end up doing business with Russians or Chinese? And Engish is not only the commanding language when it comes to business, as I have pointed out previously, English is the international language of love. 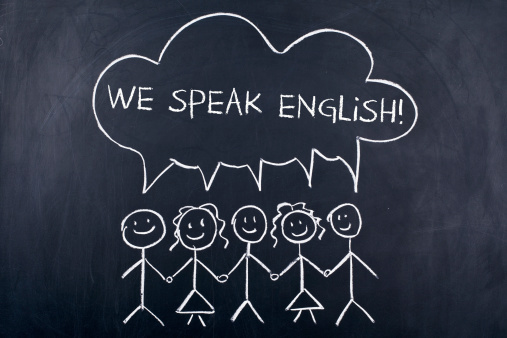 The problem for a native english speaker is which language do you pick? I picked French. I remember almost none of it now. In my career helpful to have known languages turned out be Japanese, Chinese, Spanish, Italian, German, and finally, in just two instances, French. Thankfully in all instances English worked just fine. Why limit the discussion to foreign languages? If we're strictly interested in the economic utility of education, then why waste time on literature, or history, or anything with the word 'studies' after it? But isn't the real issue who gets to decide what these arbitrary education requirements are? Which group of elitist clerics get to decide what is important for the underclass to learn, or more importantly, which group of elitists will be arbitrarily subsidized with an artificial demand? Personally, I'm in the 'learn a foreign language' camp. My English language skills improved more by learning a foreign language than from anything taught in English class, mainly because I think my foreign language teachers were simply much smarter and well educated than my English teachers. And the argument that we should just make English education better seems rather silly to me when it appears that our foreign language education process already does that. In the end it comes down to how you value education, and like all value judgments, it's subjective. I think that nobody can know what will interest a child before they are exposed to it, nor can you predict the future and know what exactly will be of utility in the future, and other than the old school basics (reading, writing, math), kids should be exposed to as many things as possible to see what sticks and where their comparative advantage lies. The foreign language requirement is basically an affirmative action or welfare program for otherwise unemployable foreign language teachers. If you want to learn a foreign language, go to a country where that language is spoken, immerse yourself in the culture and the people and learn it. Sitting in a classroom for 50 minutes a day for five days a week will not get you anywhere near fluency. Some people do have a natural inclination towards languages and learn well in a classroom. To them I say, "Go for it." But most of us will pick up a few vocabulary words and very basic sentence structure and then will forget it quickly. In my experience, spending four years in high school learning Spanish was an utter waste of time. Soon enough English will be the second language taught in the USA. Everyone here will rejoice. The only true teacher of a foreign language is to go live where its is at least mostly spoken and immerse in the society. The only exception is Finnish. If you werent born speaking it you will likely learn it.